A bright patch in the Sun’s chromosphere developed in the SE quadrant with possible spot development. An asymmetric, partial-halo CME was observed in STEREO-A COR2 and LASCO C2 imagery at 03/1712 UTC and confirmed with visible coronal dimming from STEREO-A EUVI 195 imagery. 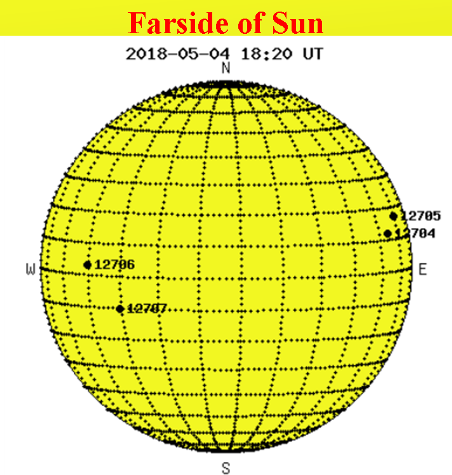 This CME (coronal mass ejection) event originated on the backside of the Sun and is not expected to influence the Sun-Earth line. No additional CMEs were observed in available satellite imagery. The eruption of lava from the Kilauea volcano forced residents in two subdivisions on the island of Hawaii to evacuate Thursday. Lava spewed from a crack in the earth following days of small earthquakes around the volcano. Photos and drone footage showed cracks opening up across green yards and roadways and molten rock bursting out. The area has experienced hundreds of small earthquakes in recent days. The largest, a magnitude 5.0, hit about 10:30 a.m. Thursday. It was centered on the southeastern coast of the island of Hawaii, with a depth of four miles. Hawaii County ordered the mandatory evacuation of the Leilani Estates and Lanipuna Gardens subdivisions at 5:30 p.m. Thursday. Officials opened two community centers to shelter people who fled their homes. One resident, Ikaika Marzo, told The Honolulu Star-Advertiser that lava fountains were shooting 150 feet into the air about 5:30 p.m. and that lava had spread over a 200-yard-wide area behind a house in Leilani Estates. “It sounds like a jet engine. It’s going hard,” he told the newspaper. Leilani Estates had a population of 1,560 in the 2010 census, but residents say the evacuations could affect thousands of people. “People are scared,” said Matthew Purvis, a pastor who runs a bakery in the town of Pahoa. “It’s not just evacuating people, it’s their things and their animals and their livelihoods,” he added. Mr. Purvis drove a van into the threatened subdivisions to help residents flee. The Hawaii Volcano Observatory said white vapor and blue fumes began emanating from the cracked areas Thursday afternoon, followed by spatter — blobs of lava blown into the air — just before 5 p.m.
An eruption from the Puu Oo’ cone of Kilauea in 1983 has continued to flow, destroying houses in the Royal Gardens subdivision. In 1990 more than 100 homes in the Kalapana community were destroyed by lava flow. An eruption from Kilauea in 2014 flowed down the surface of the volcano and burned a house in Pahoa. Now residents worry that more structures could be threatened in the area, which is one of the fastest-growing in the state. 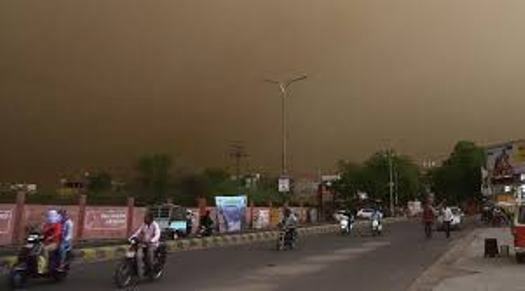 At least 125 people are now reported to have died in fierce dust storms in northern India, with officials warning of more bad weather to come. High-speed winds and lightning devastated many villages, bringing down walls and leaving dozens injured. An Uttar Pradesh relief commissioner’s office spokesperson told AFP news agency the death toll was the highest from such storms in at least 20 years. Officials have said the death toll could rise as more bodies are found. Wind speeds were around 132 km/h (82mph) accompanied by hail storms and heavy lightning, officials said. Villagers in Badhera, in the worst affected district of Agra in Uttar Pradesh, say they had had absolutely no warning of the storm that devastated their homes. This is despite senior police officials saying that an alert was issued across the northern state. The storm killed three people in the village, while several others were taken to hospital with serious injuries. Ten-year-old Abhishek Kumar was asleep with his family when the storm struck. Their house collapsed, trapping him and his brother in the debris. Villagers dug them out but while Abhishek survived, his brother did not. Dhambi Singh also suffered injuries but had to leave hospital to perform the last rites for his father who died when the roof of their house caved in. Villagers are now worried as they have been warned that a similar storm could strike the region again in the next 72 hours. “People should be alert,” the relief commissioner’s office told AFP. In the two states of Uttar Pradesh and Rajasthan, the storm brought down electricity, uprooted trees, destroyed houses and killed livestock. Sunspots are relatively cool regions of hot gas on the Sun’s surface, prevented by intense magnetic fields from plunging back into the depths of the Sun for a reheat. These spots wax and wane in a cycle that averages 11 years. 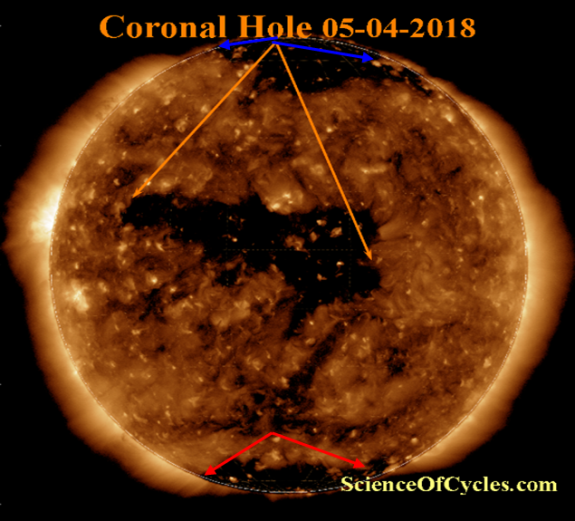 During the peak of the cycle, the Sun is at its most active, generating solar flares, prominence, coronal mass ejections (CMEs), and coronal hole outbursts. 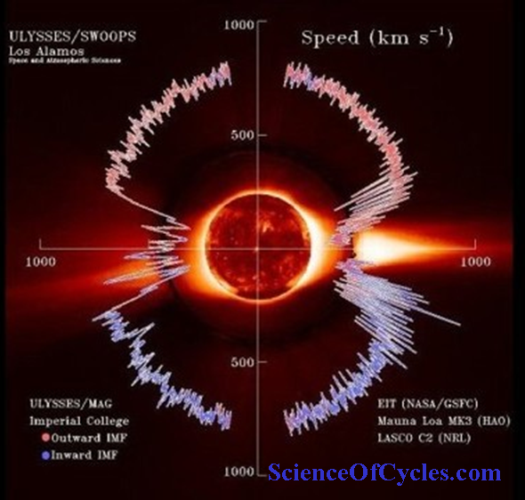 All of these can occur at any time during the solar cycle, but they are most frequent during its peak. The Sun and stars are powered by fusion rather than fission. 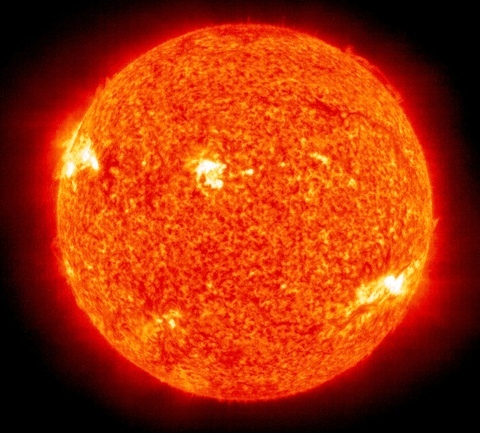 The core of the sun is dominated by hydrogen and at temperatures where hydrogen fusion is possible. Evidence for a potential long-term slowdown or even halt to sunspots for a period of time come through three sets of measurements. Drawing on 13 years of sunspot data, National Solar Observatory researchers Matt Penn and William Livingston have documented a consistent decline in the strength of the magnetic fields associated with sunspots. If the strength of those fields drops below a certain level, the spots vanish. Hill’s group at the National Solar Observatory used measurements of the Sun’s acoustic signals to gauge the movement of high-speed jet streams of solar material inside the Sun’s northern and southern hemisphere. These jet streams tend to form at high latitudes and migrate toward the equator over the course of a sunspot cycle. And they tend to be the spawning grounds for sunspots. Typically, new jets, the foundations for a new sunspot maximum, form even before the existing jets reach the equator and vanish, Hill explains. The new jets should have started forming in 2008. They have yet to appear. Far across the solar system, from where Earth appears merely as a pale blue dot, NASA’s Galileo spacecraft spent eight years orbiting Jupiter. 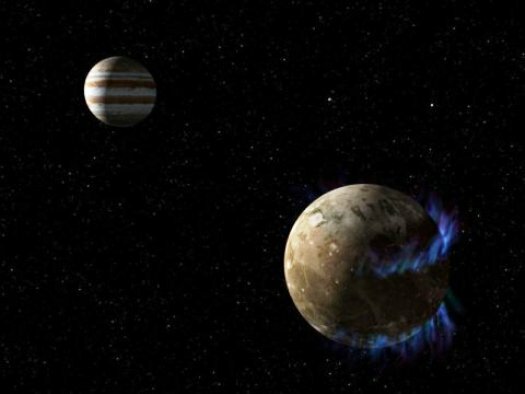 During that time, the hardy spacecraft — slightly larger than a full-grown giraffe — sent back spates of discoveries on the gas giant’s moons, including the observation of a magnetic environment around Ganymede that was distinct from Jupiter’s own magnetic field. The mission ended in 2003, but newly resurrected data from Galileo’s first flyby of Ganymede is yielding new insights about the moon’s environment — which is unlike any other in the solar system. 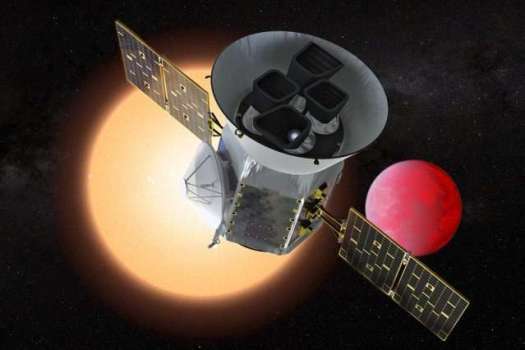 The Galileo mission was funded by NASA’s Solar System Workings program and managed by NASA’s Jet Propulsion Laboratory in Pasadena, California, for the agency’s Science Mission Directorate in Washington. 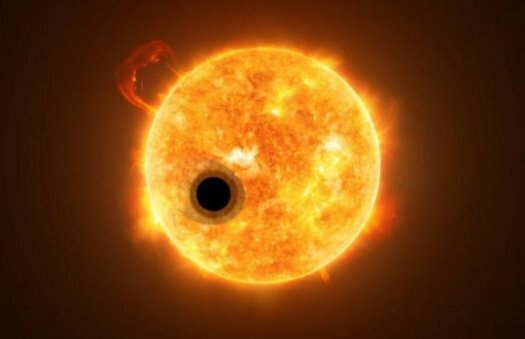 WASP-107b is one of the lowest density planets known: While the planet is about the same size as Jupiter, it has only 12% of Jupiter’s mass. The exoplanet is about 200 light-years from Earth and takes less than six days to orbit its host star. Since its atmosphere is so extended, the planet is losing a significant amount of its atmospheric gases into space — between ~0.1-4% of its atmosphere’s total mass every billion years .